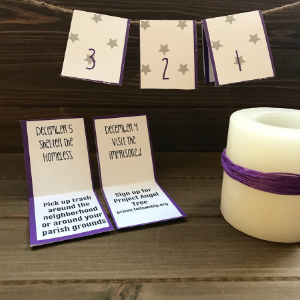 Are you looking for a way to keep the penitential spirit of Advent, but aren’t sure where to start? 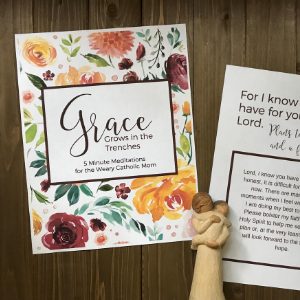 Try this Works of Mercy Printable Advent Calendar, with 24 gentle, easily-adaptable suggestions for Advent prayer, sacrifice, and service, suitable for all ages and stages of family life. My Pastor refers to Advent as a “mini Lent”; a time to pray, fast, and give alms as we make room for Christ’s birth in our hearts. Our secular culture makes it hard to do that, though, especially when Christmas decorations show up in stores before Halloween! If you’d like to put more focus on the penitential aspect of the season, this Works of Mercy Advent Calendar is a great place to start. 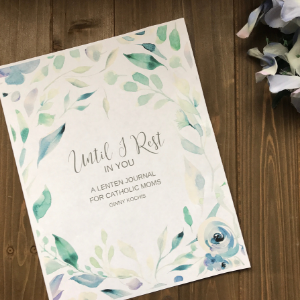 This is a printable PDF product that includes 24 gentle, easily-adaptable suggestions for Advent prayer, sacrifice, and service, suitable for all ages and stages of family life. THIS IS A DIGITAL PRODUCT. UPON PURCHASE, YOU WILL RECEIVE A DIGITAL DOWNLOAD. SCISSORS, GLUE STICK, AND CARDSTOCK NECESSARY FOR ASSEMBLY. SEE THIS POST FOR FULL TUTORIAL.